Monday & Friday: 8:30 a.m. - 5:00 p.m. 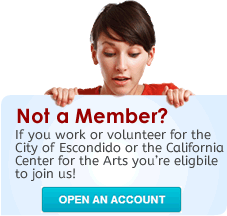 Located at City Hall, 201 North Broadway, Escondido, CA 92025-2798. Tuesday-Thursday: 9:00 a.m. - 5:00 p.m. Located in Escondido Police Department 1163 North Center City Parkway, Escondido, CA 92026. ATM Kiosk available at East Valley Community Center parking lot off of East Valley Parkway, between Midway and Citrus. This is a deposit accepting ATM.